When it comes to road racing, the Xenith brings you to the xenith of sheer speed. Jamis may not be the most well-known name in the business, but it is definitely one of the most awesome models out there – the Xenith brings everything it can to the table and makes it fabulous. The Jamis Xenith wasn’t a bike that we expected much from, considering that the manufacturer isn’t the most popular one out there. However, one look at the beautiful carbon frame and we were transported. Weighing in at less than 900g, the frame is one of the best made we have seen to date. While the lightness of the bike meant that it didn’t feel nearly as stiff when we rode it, it also made for one of the niftiest and nimblest rides that we have ever taken. While it isn’t meant for gradual climbing for casual cyclists, it is a powerhouse on flat roads because it is actually as light as a feather (relatively). With cranks from FSA, a chain from KMC and a Selle San Marco saddle to complement the setup, we found that the entire bike weighed less than 6kg. This was a huge factor in delivering smooth, silky performance to our review team. The Jamis Xenith did not fail to satisfy. 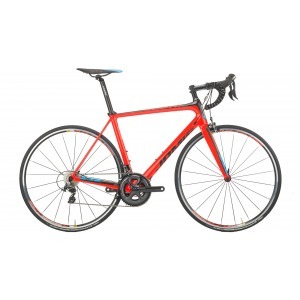 An ultra light road racer that stays true to its name and its specs, delivering speedy, powerful racing at a pretty decent price and an even better weight. We zipped along like children on the Jamis Xenith and can say without a doubt that it was a great ride. We can’t wait to see more of what Jamis has to offer!